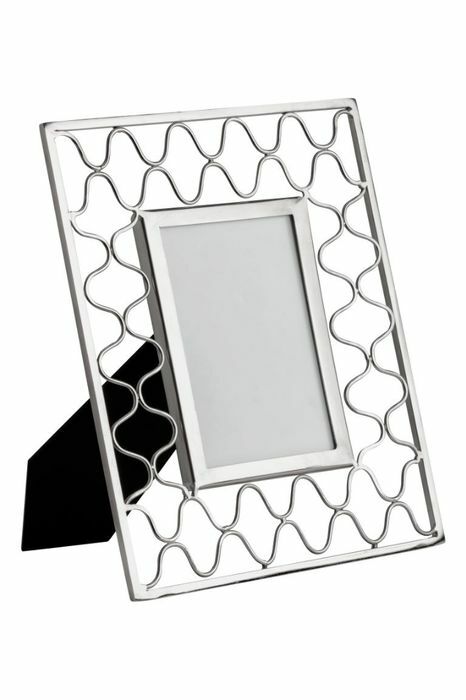 Metal photo frame with a stand and hanger at the back. Screws not included. Fits pictures up to approx. 8.5x12 cm. Frame dimensions 20x23.5 cm.